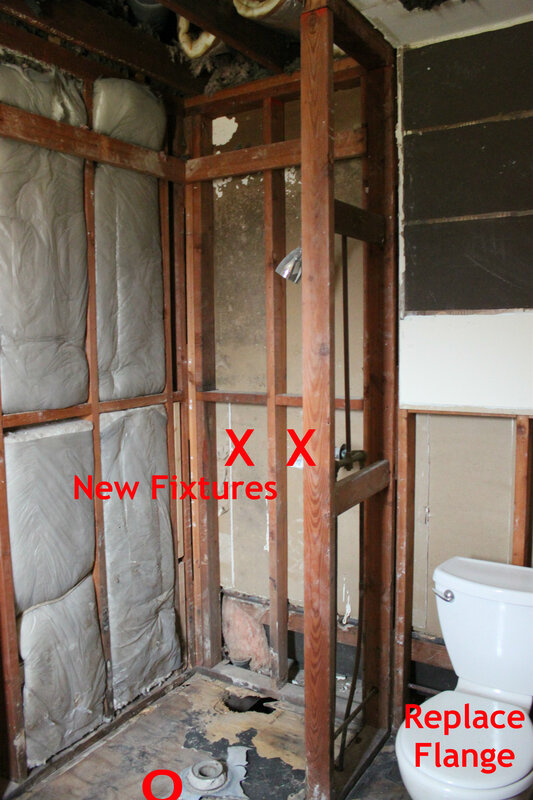 There’s only so much we can tackle by ourselves on a bathroom remodel. 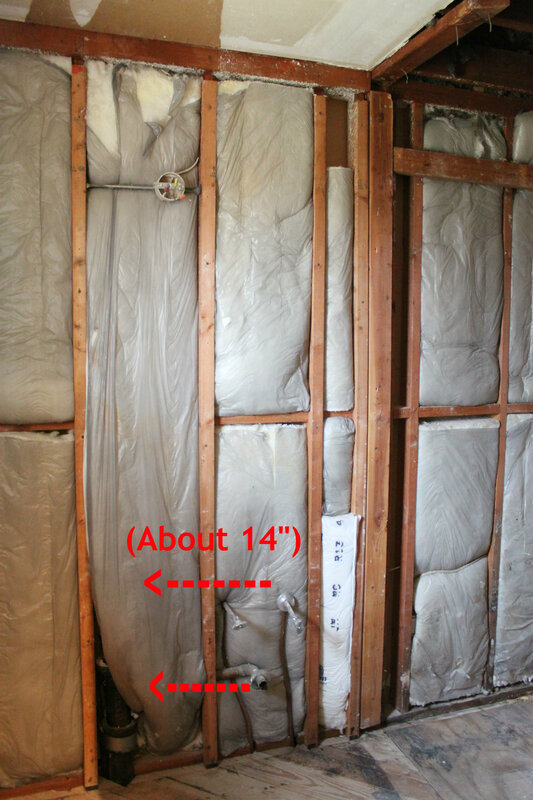 Well……..Everything so far….except for the plumbing. We WILL build a deck out there one day and this is problem numero uno. 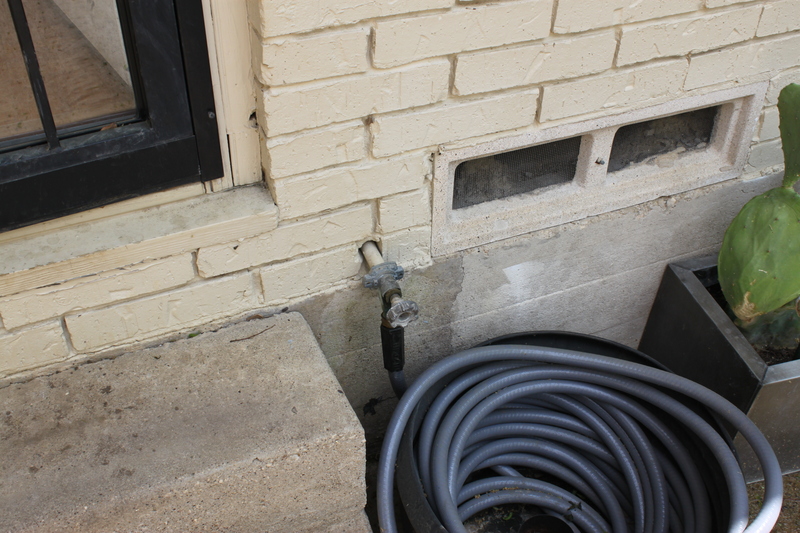 We can not have a faucet under the new deck. We also need him to install a custom shower pan liner and all the new fixtures. We were looking forward to installing the toilet ourselves, but all the reviews online stated that it was tough to do……..so let’s just pay him to do that too. how about changing the knobs in the other, currently working, shower? They are a little …….embarrassing. Stay tuned…there’s more to come. Wow, sounds like you have really thought of everything. I hope it goes smoothly. Good luck, guys! This is going to be fabulous when it’s all done! Very exciting for us to watch in the meantime! i like that plastic covered insulation that lowe’s carries. are you going to use a ditra shower kit? I am really impressed by those or the ones by goof proof shower. good job. looks great. If you join and post the picture of your bath spigots on diychatroom.com one of the plumbers there can probably identify the brand. 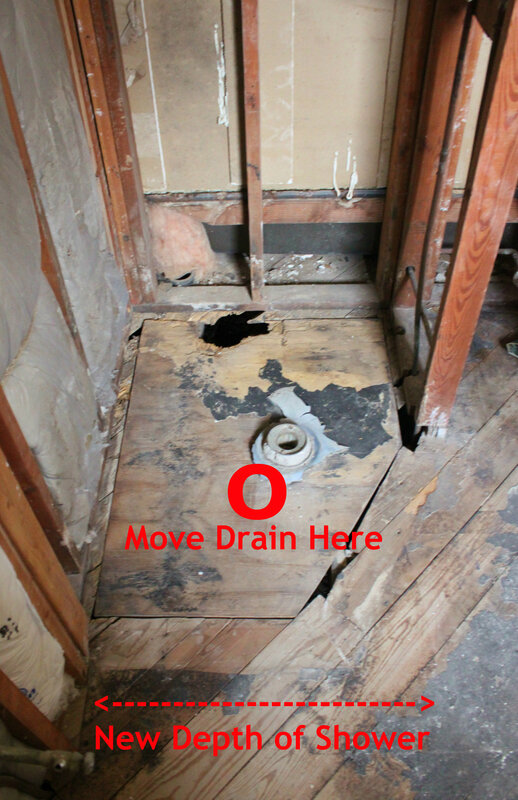 Then you can go to a plumbing supply house and pick out a new trim kit…you might even order on line. I KNOW you want to pick out the new spigots right? 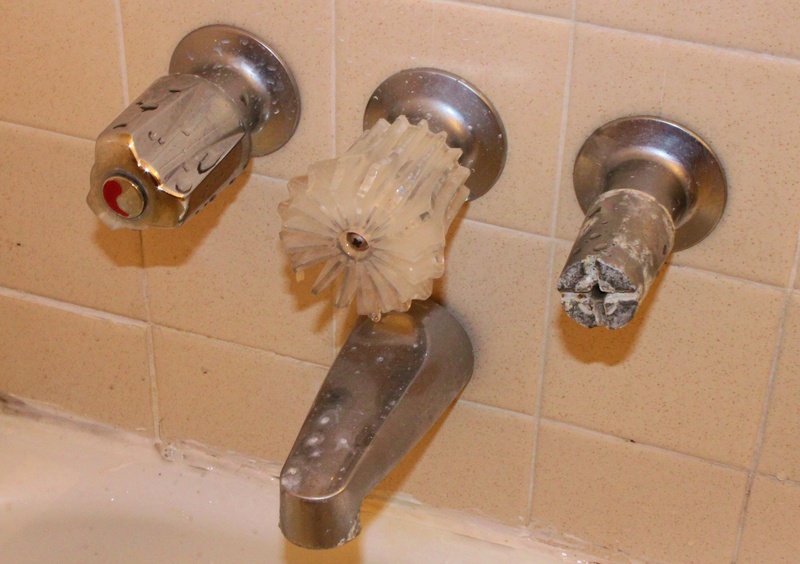 Most plumbers seem to ride with those ugly plastic crystal knobs…there are better options. Had to smile at the plumber’s list! Since we live so far from civilization it is always $100 for any service repair to just show up. I make sure I have multiple repairs lined up before I have them come out! I can wait for the big reveal! I meant I “can’t” wait for the big reveal.